Happy St Patrick's Day to you all! I don't think I'm Irish, but living in Pittsburgh I've always loved and embraced the holiday. In case you didn't know, we're the best city to celebrate the holiday! I'm currently sipping some Irish Creme coffee (nonalcoholic of course) and wore my green T-shirt to the gym this morning! Luckily my gym offers morning and evening classes, so I didn't have to miss my workout because of dress rehearsal. It was hard waking up for a 6:00 class though! Once I was there and working out, I was so glad I made it. Early workouts are kind of nice! I absolutely love Indian food. One of my best friends at work is from New Delhi and recently moved to Dubai. When she was living here, she would bring in amazing food and take me to the best Indian spots in Pittsburgh. 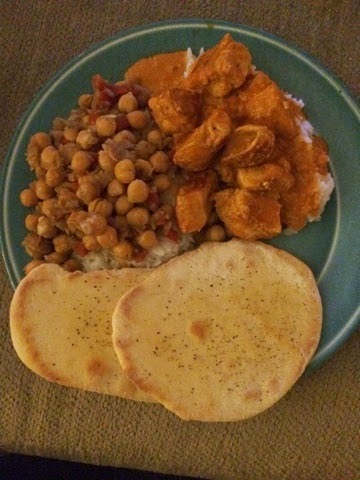 For our dinner, I made Chana Masala, Chicken Tikka Masala and Naan. I was surprised at how well everything turned out, except for the naan. I don't think I had the stove hot enough, so it took too long to cook and ended up being really hard and dense. The chicken was amazing though, and really easy to cook! I served it with rice and it was amazing, and also tasted great as leftovers. 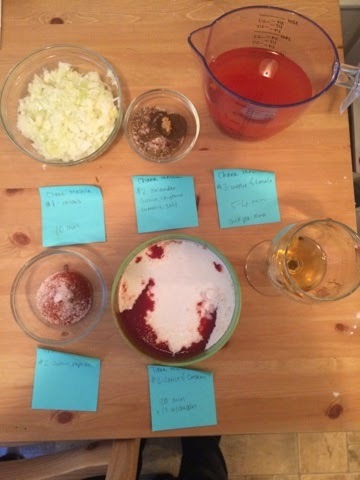 If one step requires multiple ingredients, I'll add them all to the same bowl so I can just mix it all at once. This saves so much time and makes cooking a lot less stressful! Overall, dinner was a lot of fun and turned out pretty well! This has been such a fun resolution and I can't wait to cook everything else. What's your favorite cuisine to eat? Have you ever made any other cuisine? Any success or horrible failures? I love the goal to try a new cuisine each month! I love Indian food and prefer cooking it at home because I'm convinced some restaurants add ghee (clarified butter) even when I tell them not to, and that makes me sick. Your meal sounds great! And I love how organized you are with labeling everything. Your pup is so cute! Love the St Paddys day outfit haha. Thank you! She was mad at me because it was 5:00 when I took this and she hates waking up lol! I love naan so much and want to learn how to make it taste better! I love Indian food! I can really plow down some curry! Happy St Patrick's Day! 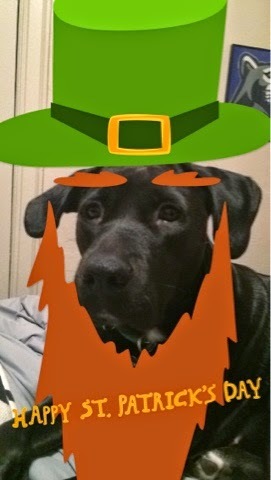 I actually am Irish and this is one of my favorite holidays!